Plan a classic girl’s night out by taking advantage of the exotic nightlife in New Jersey. To go on a night out, you should choose luxury party bus New Jersey of US Bargain Limo. 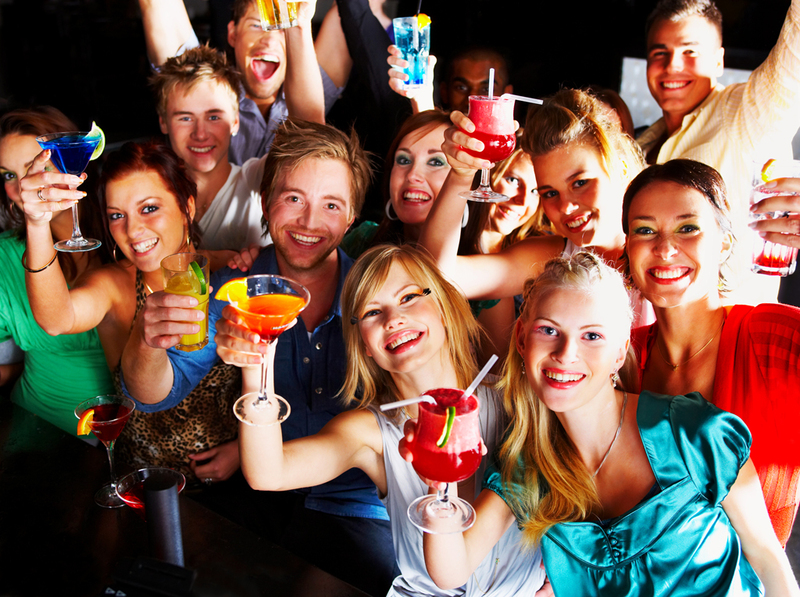 With us, you can venture out and able to visit some of the most popular bars and night clubs in New Jersey. Even you can start the outing by enjoying a complimentary champagne on-board. So, it’s highly recommended to hire our party bus rental company in New Jersey beforehand so that you can get into the nightclubs and bars without any worry about the traffic as well as parking. Does your man ever take you the opera? Probably, your answer is No; so don’t worry as your girlfriends can make a perfect date. Get dressed well and go somewhere fancy like a musical, a broadway play and martinis at a stylish bar. You will never know that you will meet your someone special there; if you are single. No matter whatever you will do, you will look the best and have a blast with your girls. Be sure to take lots of selfies so that you can look back at how hot you have looked during the night. Well, girls will go crazy; when it comes to massages, manicures, pedicures, mud baths, facials and much more. Whether you want to relax yourself or just want to enjoy the company of your girls, spas are the perfect option to get cozy during the night. No matter whether it’s just a night or a full weekend, you and your girlfriends will get to enjoy some quality time together and come back home being relaxed and refreshed. Love to drink champagne with your friends? If yes, then enjoy drinking while riding in a party bus in New Jersey from US Bargain Limo? Wow, it’s really amazing; as there is no better way to celebrate a night out without having a champagne. So, it will be best for you to hire our party bus rental company in New Jersey and don’t wait for the next bachelorette party to drink with your friends. Even, you don’t need to worry about driving. We have experienced chauffeurs who can let you explore the sights during the night to the fullest. In addition to, you can roll up to the club and skip the line as everyone will think that you are a celebrity or at least a VIP! So contact all your girlfriends to pick a date and plan for an enjoyable girl’s night out with reputable party bus company in New Jersey, US Bargain Limo! Enjoy! When you will arrive at your prom or wedding, birthday or Sweet Sixteen in a Hummer limo, definitely it will enhance your fashion statement. They are quite bold and big. 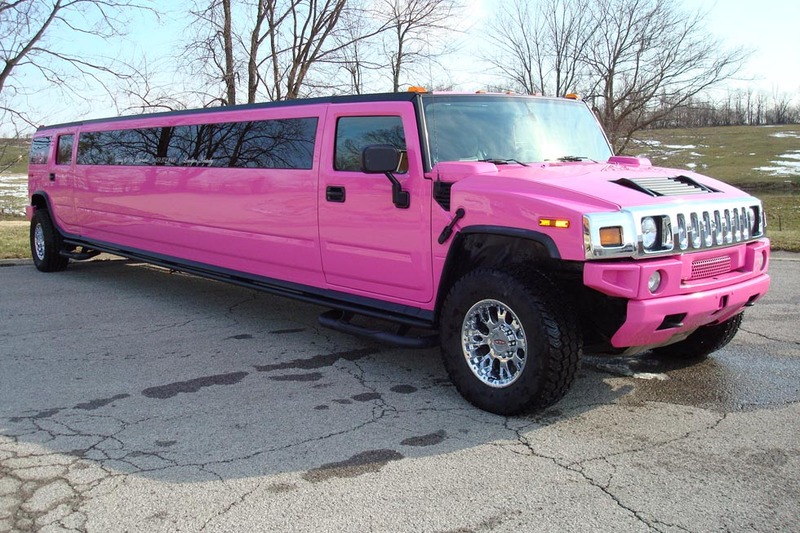 Our pink hummer limos can offer an absolute combination of luxury, comfort and style. 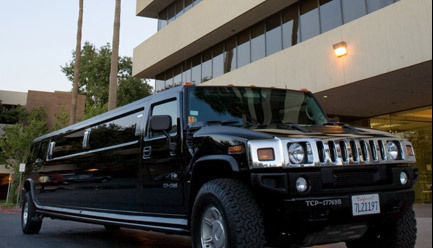 If you want to stand out among the crowd, then our exclusive hummers can offer you the best ride. If you want to be seen in your photographs quite bolder than your usual attire, then choose the elite fleet of Pink Hummer stretch limousine from US Bargain Limo. Well-equipped with epic sound system with availability of playing your favourite tunes, drinks cabinet, nightclub lighting, TV screen and available for 16 to 20 passengers to enjoy the ride to the fullest. If you will look from the outside, then it’s incredibly stylish; rest assured that your surrounding people can be given rubber necks. Hummer Limo Service in New Jersey & New York City of US Bargain Limo offers picture perfect Pink Hummer limos in order to celebrate ladies night out, 16th birthday, bachelorette and birthday party. Even, prom and home comings are the excellent time to choose this ride too. With the well assorted luxury offerings, our pink limo can offer you ultimate feminine style ride to your desirable venue. The unique blend of Hummer’s toughness and attention-grabbing color pink can make an amazing look that will add exciting ingredient to your special event. The exclusive charm and style of our Pink Hummer will let you feel proud and confident; more certainly anyone can have the right charisma can access as well as use its stunning effect. When you will step out of our chauffeur driven pink hummer limo in New Jersey, you will make an entrance into the world with confident flair and excellence. After all, it’s your event; so enjoy your celebration in a unique way and create memories that won’t be easily forgotten! When people decide to hire a limousine, they usually go with a top gear and straight to the vehicle that’s black or white. Request a quote from US Bargain Limo and you will feel that pink not only look well for the special occasion, but also it lets you dazzle! For more details, please visit our Facebook, Twitter and Google+ page. Getting the right outfit for the prom event in New Jersey & New York City can be much difficult and stressful enough. However, searching for hours to get the right dress or tuxedo will pay off. After all, it’s your prom; so you will need to feel like million dollars for the special night. If your parents are okay with arranging an after prom party in New York City, then why not host a party! No doubt, this can be the perfect way to enjoy the celebratory prom night and make the unforgettable memories with all your close buddies. If you want to go to your high school prom with a big group of friends in New York City, why not consider the prom limo New Jersey and New York City of US Bargain Limo to travel in ultimate style and luxury. 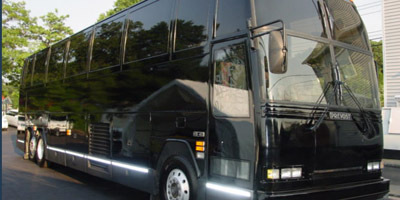 Our prom party bus New Jersey and New York City has earned reputation in providing finest quality vehicles for the best ever prom night at extremely affordable prices. Not only riding in prom limo New Jersey and New York City will make a grand entrance to your prom venue that everyone will be talking about it, but it will offer enormous space and amenities to have fun and spend time with your friends before your arrival at your destination. However, our party buses New Jersey are well-equipped with nightclub style sound systems, incredible lighting, lasers, dance floors and even fog machines. 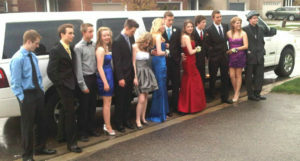 More importantly, our prom limousines can give you a chance to spend one of the incredible nights together. If you would like to know more about the vehicles that we will offer on your prom night, all you need to do is to get in touch with us. Simply call us at 877-770-6225 and speak to one of our team. A prom night is one of the biggest night that every high schooler and college students are looking forward to. For girls, Prom is one of the best nights throughout their life; on this day most girls try to apply all makeup tricks, wear trendy dresses, high heels and new colognes which can make them look special than anyone else. For boys, it’s the best night to meet new, pretty girls, to impress and dance with them. Party buses in New Jersey are making good business on prom night celebration. It’s due to the fact that the young bloods find party bus New York City thrilling and exciting way to arrive at their prom destination. So like today’s fashion, consider the new prom night trend of party bus New York City from US Bargain Limo. We can offer you a stunning variety of New Jersey party bus at extremely reasonable rates to transport you to the dream venue. 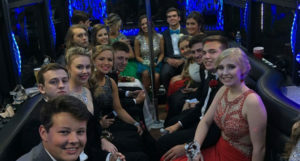 The main problem of the students is their budget; even if they love the idea of going to a prom in party bus New York City but they can’t afford the lavish limos. That’s the main reason why most of them can only dream to go on a prom night in a trendy New Jersey prom limo. Luckily, it’s not the case anymore! US Bargain Limo is now providing stylish pickup, drop off luxury limousine service in New Jersey, New York City and Philadelphia at affordable prices. So you can hire your favorite prom limo at your service! So, what are you waiting for! As your life is young and the days are full of joy, don’t take prom night casually! 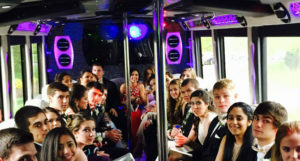 Get the most out of it and hire our party bus New Jersey to arrive at your prom night in the most sophisticated, stylish approach. Be the talk of your school and make your friends jealous with a lavish, professional chauffeur-driven limousine! If you truly think that joy, passion, a good company of friends, loved ones and a stylish ride can make your prom night remember forever, then US Bargain Limo is a must choice! A prom event is the unforgettable night of your high school year; so make sure to plan it in a right way. Here, I have discussed some important tips to ensure the smooth and exciting prom night, from your New Jersey prom limo to pick you up to drop off back at your home. Talk with your friends early and decide your friends group so that you can book your favorite New Jersey party bus from US Bargain Limo. As the demand for our limousines during prom season will be high; so don’t wait for the last-minute reservation. Plan for a few times before the arrival of our limo to take plenty of photos. Well, be sure to make everything perfect for the night. This can be the great time to ensure the best preparation for your exciting night. While booking our New Jersey prom limo, pay more attention to the after prom party and reserve your ride for more hours. So don’t take a chance of ending your special night early and missing out all the fun and excitement of after prom party! You should arrive at your prom event in style and luxury. That’s the main reason why it’s important to choose the New Jersey prom limo of US Bargain Limo. With the picture perfect vehicles and courteous chauffeurs, you can get the best ride for your once-in-a-lifetime prom night. For up-to-date information regarding our New Jersey prom party bus service, connect with us on Facebook, Twitter and Google+. Limousines are considered as “ride for elite”, which means only rich and wealthy group of people can avail this. But these days growth of limousine services in New Jersey as well as in New York has made it clear that people of any class can easily available the comfort of riding an opulent and luxurious ride, which will spice up there every occasion. Long awaited spring season has made New Jersey City as well as New York City vibrant and bursting back into life with daffodils and tulips making their appearance. This sets up a perfect platform to make plans for having fun in the weeks coming ahead with a reliable limo service in New Jersey. Getting a trustworthy limo service in NJ, Philly or NYC from US Bargain Limo will offer you high quality chauffeured transportation in luxurious fleets at a great price for your any special occasions. From elegant limousine fleets, exquisite party bus in NJ or NYC to comfortable limo bus shuttle in NJ or NYC, you can select an opulent ride from our great collection that will help in having utmost fun and enjoyment on your every special event. Proms are special and once in a lifetime high school event; to make it most memorable you need to reserve reliable limo service in NJ and NYC by US Bargain Limo. We will provide you latest & most luxurious limousines in NJ or NYC and experienced chauffeurs to take good care of your kids while providing a safe transportation. Whether you need a luxurious party bus service in NJ or NYC for your birthday, bachelor/ bachelorette party or Sweet 16 party, in every way we will deliver an exceptional transportation service. Our party bus packages will offer flexibility that will make it suitable for having a spontaneous party night. Couples in NJ and NYC who have planned for a spring wedding can hire our wedding limo bus shuttle service in NJ or NYC as well as wedding limo service in NJ or NYC for celebrating your special day in a grand way. We will take great care of transportation your guests as well as help you arrive in style at the wedding event like a celeb. If required then can get our customized wedding packages that will perfectly suit your requirements and make the special occasion most memorable. Call us today at 877-770-6225 for booking early your reservation that will help in eliminating last minute chaos. Which one is Better Option Between a Limousine and a Shuttle Bus? Wedding is considered as one of the happiest days of our life. There’s lots of planning going on from the flower decoration to the catering and everything in between. But, one question arises in mind; how you will drive up to your big event? 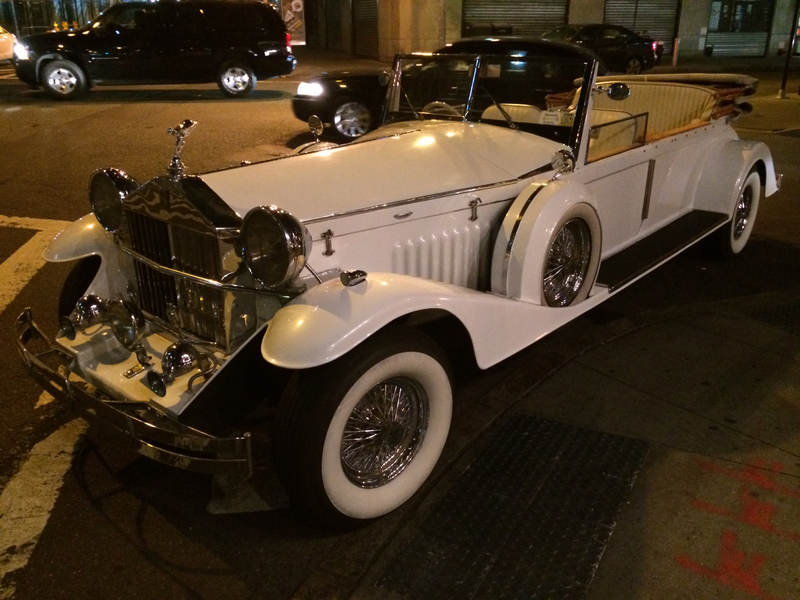 Obviously, it’s in a chauffeured, luxury limousines! In fact, hiring a wedding limo is the latest trend; so everyone loves to pull up this vehicle to offer a sleek look to the wedding venue. However, today’s discussion is about which one is a better wedding transport option; whether it’s a lavish limousine or a wedding shuttle bus. First thing, you won’t get any privacy while riding in a shuttle bus. If you are thinking erroneously that utilizing the shuttle bus transportation can give you a little privacy, but the chances are good as you are going to share your ride with many people. Hiring a New Jersey wedding limo rental can offer you utmost privacy as you won’t find any unwanted guests riding with you. When traveling to your wedding, it’s important to keep your mind fresh and stay focused. One of the best ways to get it is by obtaining higher levels of satisfaction and relaxation throughout your trip. After leaving the driving to a New Jersey wedding limo rental, you will rewarded with the opportunity to relax yourself in whatever manner suits you best. I think, there is nothing luxurious like our New Jersey wedding bus charter and even, your body and mind will say thank you for it. 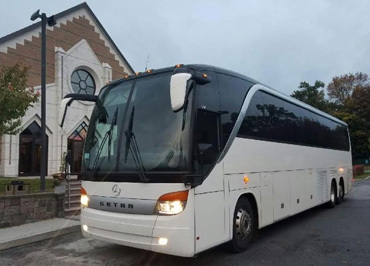 Whether you want to hire our limousines like Black Stretch Limo, Chrysler Stretch Limo and White Stretch Town Car or our shuttle buses like 54 Passengers Coach Bus and 35 Passengers Executive Bus, you will surely turn up at the church or wedding hall in a pristine car which will make for the superb wedding photography. 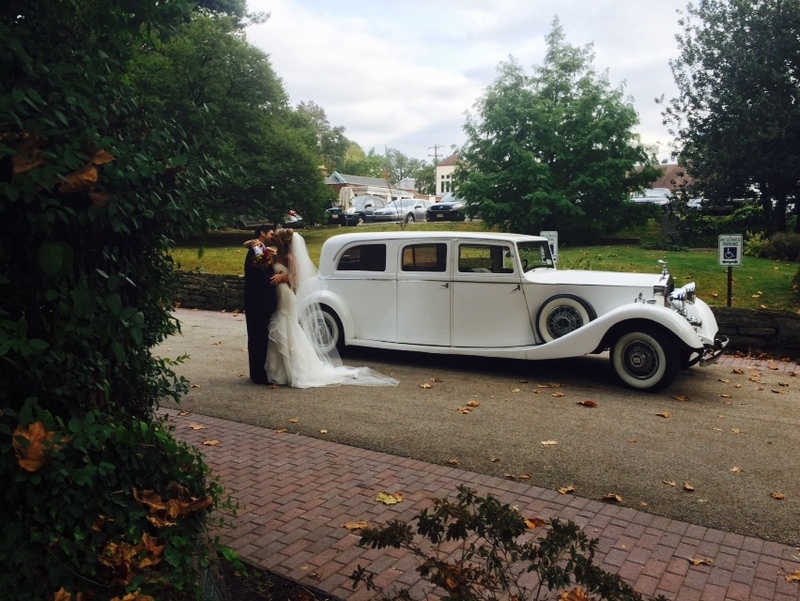 On the other hand, there is no better option than a wedding limo rental New Jersey at US Bargain Limo. One thing you need to remember that you have to pick the vehicle of your choice a month or a few months before, if you are planning for a Spring wedding. By booking our wedding bus charter New Jersey, you won’t be disappointed on the big day! For more queries, feel free to contact us today at 877-770-6225.